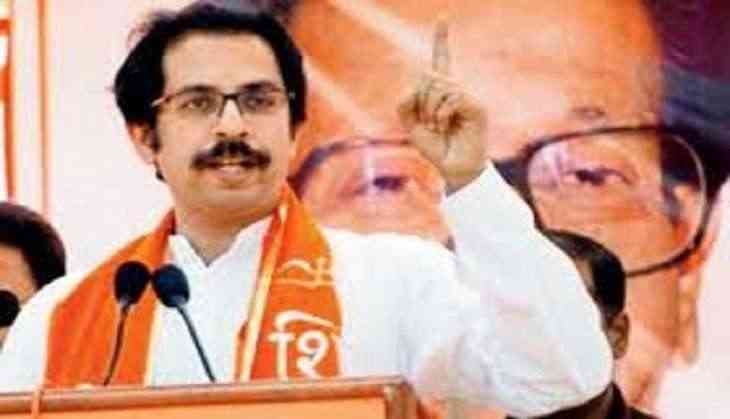 Terming the proposed pre-poll alliance between the All India Majlis-e-Ittehad-ul Muslimeen (AIMIM) and Prakash Ambedkar-led Bharipa Bahujan Mahasangh (BBM) as "bogus", the Shiv Sena said Monday that such a political move is not a good omen. The alliance would only benefit the BJP, the Sena claimed, alleging that the move by the BBM chief, who is the grandson of late Dr B R Ambedkar, is akin to betraying people of his own community. The political alliance of Owaisi and Ambedkar is only for someone's defeat and is a well-planned strategy," it said, without naming any party. Leaders of the AIMIM and the BBM had said Saturday that both parties will forge an alliance for the Lok Sabha and Maharashtra Assembly polls in 2019. Asaduddin Owaisi, chief of the Hyderabad-headquartered AIMIM, had said that preliminary talks held between the two parties yielded positive results. Till now, both were carrying out activities behind the curtains in support of the BJP, but now they will come out openly to help the saffron party, said the Sena, which is an ally of the BJP at the Centre and in Maharashtra. It said instead of openly joining hands with the BJP, they have chosen to set up a new front, which has nothing to do with the line of thinking of late Babasaheb Ambedkar, the architect of the Indian Constitution. "Babasaheb fought against the wrong, unjust traditions of Hindu religion but he never joined hands with radical Muslim groups. He even rejected an offer to convert to Islam," the Marathi publication said. The AIMIM is a "corrupt version" of the Muslim League, it alleged, adding that it is involved in Muslim vote bank politics. "One Owaisi brother had allegedly remarked that 25 crore Muslims could easily overpower Hindus in this country. The grandson of late Babasaheb Ambedkar joining hands with such people is like betraying people of his own community," it said. "However, any rational Muslim or a scheduled caste youth will not fall for such a bogus alliance," it added. Alleging that Owaisi's language propagates "anarchism", the Sena asked Prakash Ambedkar to clarify if he is comfortable with it. "If someone construes that BBM's joining hands with Owaisi would lead to instigating the scheduled caste youth and fuel riots in the state, then what answer does Prakash Ambedkar have for it?" it sought to know. Most of the scheduled caste community outfits are already affiliated to some mainstream political party. The leaders are more interested in their self-growth than helping the community, the Sena said. "The schedule castes are already divided into several factions, such as Athawale, Kawade, Gavai and Ambedkar. Instead of these factions floating their own front, Prakash Ambedkar is joining hands with the AIMIM," it said, wondering if such a move will be accepted to the scheduled caste youth.